CHILDREN LEARN & GROW BEST THROUGH MARTIAL ARTS. BUILD SELF DISCIPLINE, SELF CONTROL, AND RESPECT. Respect for Others - Treating other people the way you want to be treated. Self Control - Controlling your behavior to fit the situation you are in. Self Discipline - Doing the things you know you should do without being told. Children of all ages will learn to develop the ability to control their bodies and behavior, become responsible and pick up after themselves, as well as be polite and well-mannered towards adults and their peers alike. By utilizing positive reinforcement techniques, students build up their self-esteem and self-confidence so they can resist unhealthy peer pressure and have a positive self-image about who they are as individuals. 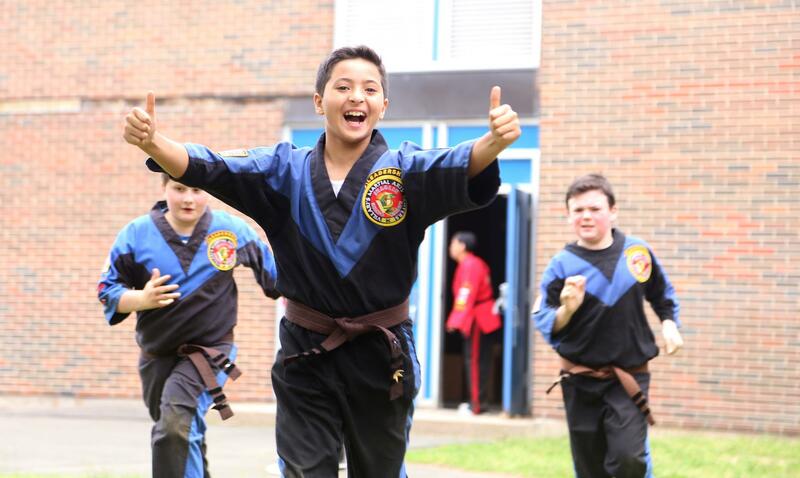 Through our martial arts training, we tailor our teaching methodology to each group and ability level to keep classes exciting, fun and motivating. 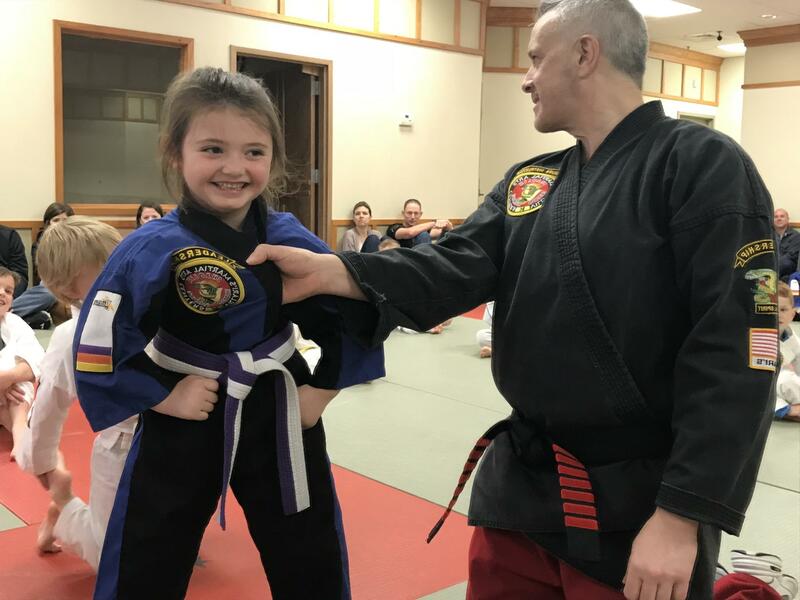 Our instructors have not only mastered their Martial arts skills, they have mastered the ability to motivate and inspire children to become the very best version of themselves. 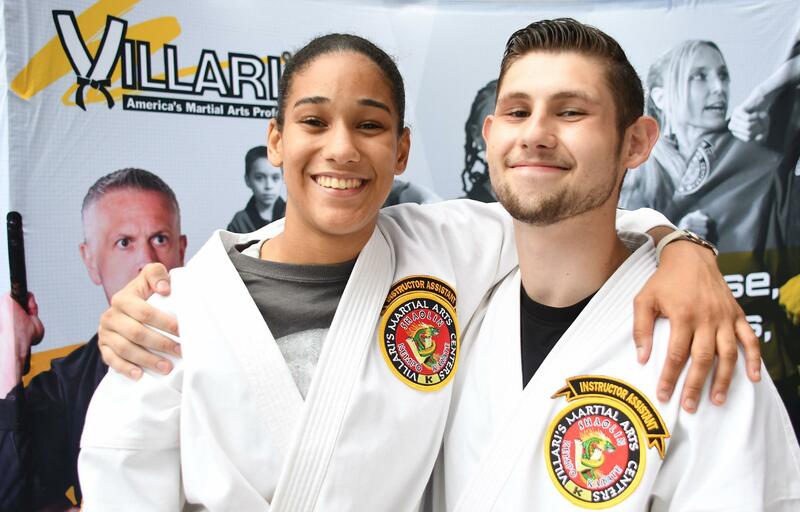 At Villari’s Martial Arts Centers, your child will grow stronger, improve balance, and have better coordination – all while learning self defense through the art of Shaolin Kempo Karate. "My son has been with Villari’s for almost a year now (he's now 5). We love how it provides a positive way to release and focus his energy… and the focus on Self Control, Self Discipline and Respect! I find myself often using these terms with him as easy ways to remind and improve upon these 3 rules at home." 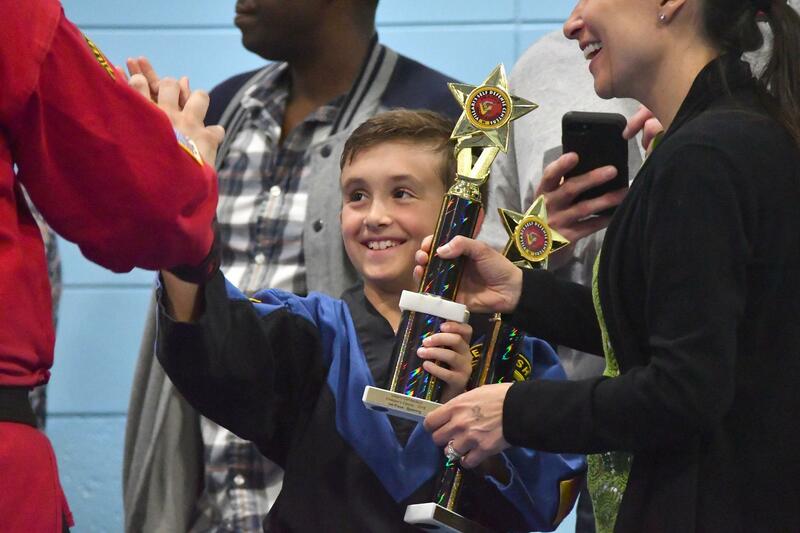 Your child will learn Self-Control, Self-Discipline And Respect – the 3 pillars of our notable character development system taught by our skilled instructors for over 50 years in CT. By practicing the 3 pillars daily at home and in school, your child will learn how to build a healthy self-esteem for life and more. "We were originally looking for something to help build his confidence, and we have found that and so much more." Karate helps your child to develop a keen awareness of strangers, handle a bully, peer pressure, and also know when to speak up in difficult situations. Karate also helps your child to have more confidence around other kids, and best of all, learn how to avoid those difficult situations in the first place. 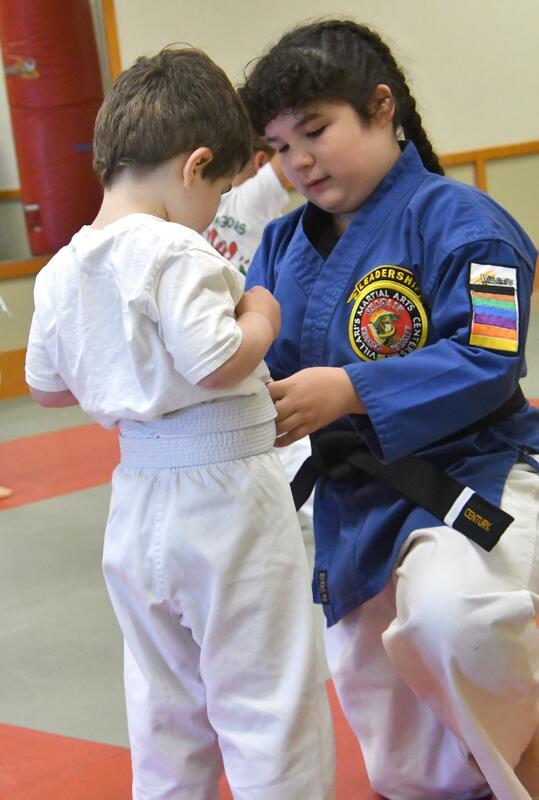 "My 9 year old daughter has been taking karate at Villari's just over 2 years now and loves it. Besides getting a physical workout, she is learning how to defend herself. Because of everything I watched her learn along with the exercise, I started taking karate just over a year ago. I am 40 years old and I am so happy that I made that decision." 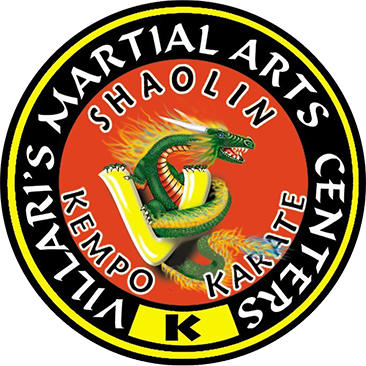 Are Villari’s karate classes structured? Definitely. Disciplined? Of Course. YET, let’s not kid ourselves here, WE KNOW that kids want to have FUN… and that’s exactly what they get! All through the proven Villari’s way that kids of all ages really enjoy. "My 8 year-old son has been at Villari’s for 8 months. He has developed so much confidence and self control in that time. Our family is so happy to have found such an amazing place. We even held our son's birthday party at the studio!" Whether your child is at home or in school, staying focused on a task over a length of time can be a challenge at any age. 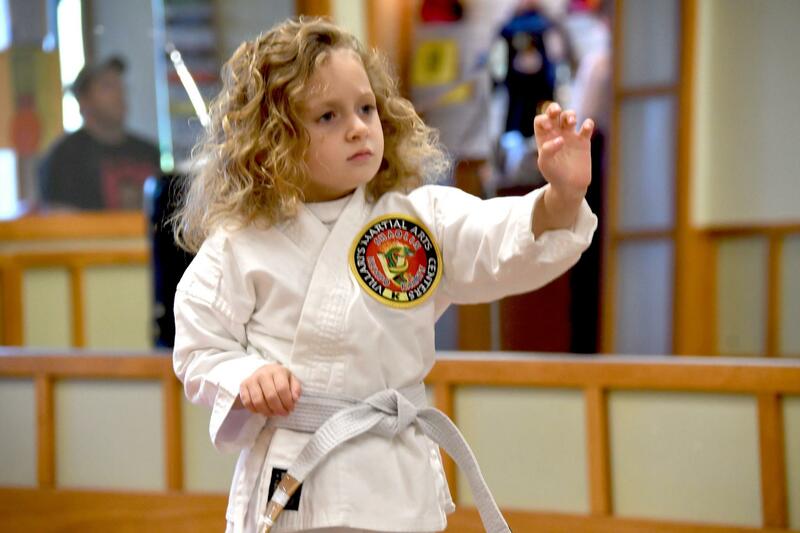 Our karate classes will teach your child how to become laser-like focused and develop the attention span that is required to complete tasks and so much more! "Mason was having difficulty listening and focusing in kindergarten last year. In just six months time he's made considerable improvement and I couldn't be prouder! He is learning so much more than a martial art. He's having a terrific start to first grade and I know that Villari's plays a significant part in that." 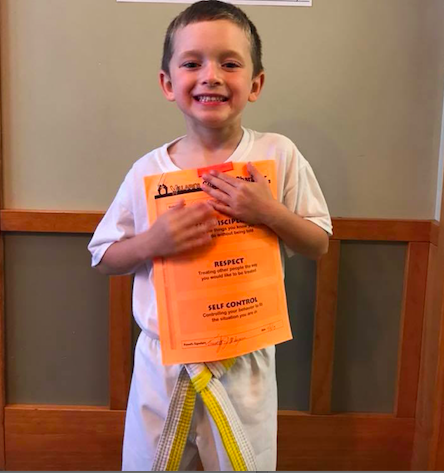 Through our proven martial arts training, along with support from parents and our instructors, your child will learn how to have more enjoyment at the playground, in school, or at home by setting achievable personable goals. As a result, your child will have a healthy self-esteem and will be determined to succeed. 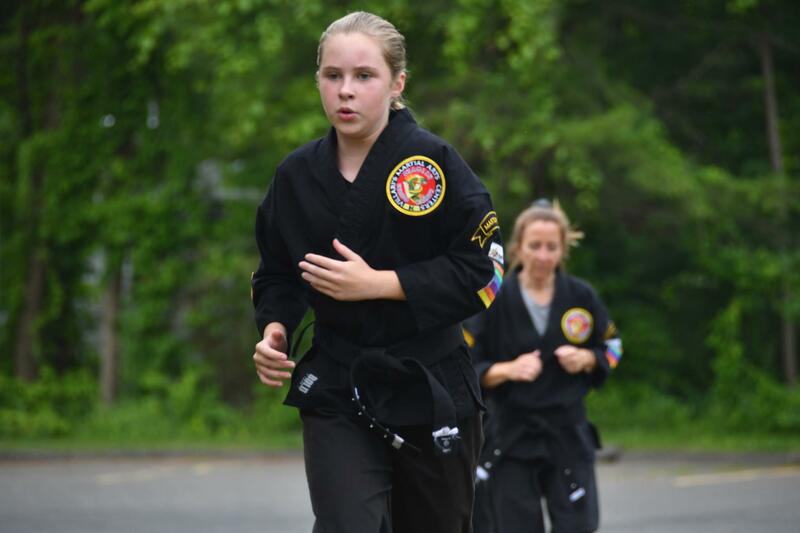 "My children have gained many important life skills such as focus, self-control, self-confidence, and determination all while learning how to defend themselves and stay physically fit and healthy in a positive and fun atmosphere. I am so proud of them and very grateful to this place for all they have done!" Ready for your child to stand a little taller? We help kids of all ages, especially those in the pre-teen and teen years, by showing them to not only feel good about their abilities, also how to appreciate who they are as individuals. "The classes have completely changed my son by allowing him to come out of his shell, become much more confident and channel his energy. On the other hand, my daughter, who has always been confident, is learning the importance of respect, self control, and self discipline." Through the martial arts classes, karate students are encouraged to lead daily. Students develop the ability to have the courage to take charge of what needs to be done. We offer leadership skills development training in our regular group class, our Black Belt Club, our Student Team of Role Models, all the way up to our Certified Instructor Training program. "When my son Tyler first started at Villari’s he was very quiet and very shy. Sometimes he was the kid you wouldn’t even realize was there. Now he is not afraid to stand up for himself, he will speak up and has even begun to take on leadership roles."